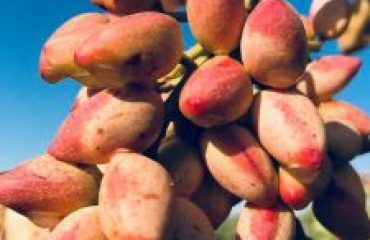 The history of the production and consumption of Iran pistachio green kernel was modestly known at around 800 to 700 years, and was consumed in Europe, especially in Germany. Since the Arabs seized Sicily The cultivation of pistachios in the Bronte region of Cecil become common, and its green kernel was sent to Germany. The Arabian kernel was taken to Sicily? 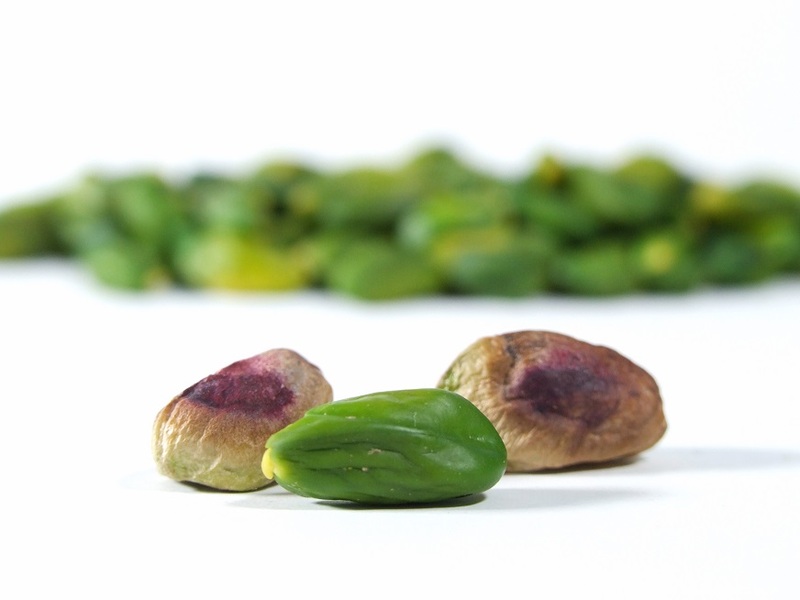 The cultivation of pistachios was carried out by Muslims to Sicily. two local types were sent to Europe as a green kernel. Today, there are two local pistachio cultivars, which are still exported to Europe in the form of a green kernel. Its average annual production is 200 to 250 tons, all of which are produced in the mountain hillside of Mount Etna in Bronte Italy. Apart from the Cecil Green kernel, since the early 60s, the only other pistachio exported to Europe in the form of a green kernel was a small amount of Iran pistachios in the city of Qazvin in Iran, which was about 40 tons of green kernel a year ago. At the same time, Afghanistan produced about 100 tons of green kernel from its own pistachio. It was bought by traders and Iranian companies, including the Iranian pistachio export company from Afghanistan, and they were peeling in Tehran with German machines and exporting them to Germany with a certificate from Iran. So, by the beginning of the 60s, Sicily was the only supplier of green kernel, but since then, the products of Qazvin and Afghanistan have also been added. How did the production of green kernel grow? Before Iran extensively entered the work in the 1990s, as the demand grew, the Turks began to pick Iran Pistachio Kal, which was a green kernel, and exported it to Europe. Turks did not use the green pistachiokernel for their sweet ones? No, they only produced green Kernel for export. That’s why the Green Pistachio Kernel was taken to other markets. For the first time around 85 or 86 AD, the Turks began to process pistachios and sent a kernel load to Spain. In 1987, they sent more to France and Spain. In 1986, the price of green Iran pistachios was high, But the average Iranian pistachio price of the kernels was about six mark (worth of every German mark was almost half a euro). The price of pistachios was 2 to 3 marks. At that time, the green kernel of Sicily was traded in about 36 German mark. In fact, due to the disappearance of Sicilian products at one-year, the green kernel market suffered from a severe shortage. Is it possible in Iran to produce the green kernel extensively? Or must it be a special kind? In Iran we do not need specific pistachio tree. Now any kind of pistachios will be sold. Where’s the biggest green kernel market in Iran? Germany is the largest consumer of Iranian green kernel with a huge disparity in consumption; But up to now, about 70 percent of the green kernel was consumed in Germany, 20 percent to France, and 10 percent to other European destinations. What is the reason for the popularity of the green kernel in Germany? being luxury and expensive for green kernel in Germany is an advantage. So customer say the casseroles that has the green kernel inside, it is sure to have the rest of the material of the best quality. Not only in the casseroles, but in everywhere else the green kernel is consumed, it’s more to decorate and represent that product; it means I am, no matter what taste I have! The green kernel does not have too strong tastes to recognize it in the German casseroles, it just makes it look and it means the casseroles is luxury. Is consumption different in Germany than in Japan? Yes, Japanese consumption is only in cakes and sweets, as well as chopped on a luxury restaurant, but in Germany it is actually consumed inside sausages or powder for ice cream. Japan does not have ice cream and sausage with green kernel. Frenches are famous chefs, why not green kernel so much gone to France? Because if you do not roast Iran pistachio , there is not a strong tasty product. The French are more interested in the taste of the food than its appearance or beauty. for That reason, use of the green kernel in Germany is high, because of its color. In Germany, you cannot buy and sell fresh products with the combination of chemical colors. For example, in ice cream, green Iran pistachio powder is used for green ice cream. You can only use color in dry food. There is nothing green except in the case of Iran pistachios. Some say there are some very wealthy people in the Chinese market and like pistachio? Such people were still attracted to European luxury brands in bags and shoes and perfumes, not products like green pistachio kernel. If the growth of this rich Chinese consumer class continues, China can be considered a great consumer of the green kernel in the future. Whether the green kernel is picked up early, does it also reduce the risk of Aflatoxin? Very much. 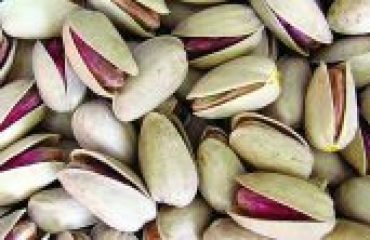 Before Iran pistachios crack, and become open mouth, they do not have aflatoxin. Is the cost of processing and producing for green kernel is more than Iran pistachios ordinary kernel? How do you compare the cost of producing and processing two products, the price of one of which is three times the market? Certainly the cost of producing of expensive goods has been greater. For example, the processing of green Iran pistachio kernel in the current time requires eye color and human labor force. While the pistachio does not have such a cost. For example, a workshop that generates 400 tons of green kernel per year, keeps roughly 200 workers throughout the year, in spite of the open-mouth of pistachio processing, which can be processed with one-tenth of that manpower. Good news for Iranian pistachio farmers. Will pistachio nuts hurt dogs?